Jayne Law Group, P.C. is a premier San Francisco criminal defense firm specializing in state and federal criminal defense. At Jayne Law Group, P.C., we pride ourselves on providing our clients with the very best personalized and effective representation, creative courtroom strategies, the best possible defenses, and oustanding legal skills in and out of the courtroom. Julia Jayne has 15 years of criminal law experience in the San Francisco Bay Area and is known as a highly competent, experienced, and aggressive attorney. She has handled hundreds of cases and as a result, has no fear of the courtroom or the Government on the opposing side. 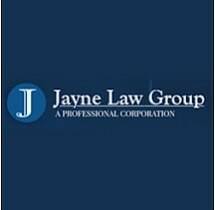 Jayne Law Group represents individuals and corporations in various types of criminal cases and investigations in state and federal courts throughout the San Francisco Bay Area. As a result, the firm is well-respected and known among the legal community, judges, prosecutors, the local San Francisco community, and especially, former clients. Because Julia Jayne is a former prosecutor, the firm has a unique insight into the inner workings of the Government, thereby giving clients a tremendous advantage in their defense. Having tried numerous cases as both a prosecutor and defense attorney, Julia Jayne is able to choose the best strategy and achieve excellent results on behalf of her clients. If you have been charged with a crime, or are being investigated by law enforcement, allow us to represent you through what can otherwise be a difficult experience. We will dedicate our time, resources, and courtroom skills to your defense.